The Academy Awards were announced this past week, celebrating the best offered in film over the past year. Leading the charge to Best Picture is Steve McQueen’s “12 Years a Slave,” which won the Golden Globe for Best Drama, and has currently more nominations for Hollywood’s various award ceremonies than any other film in history at 251, beating out the previous record held by “The Lord of the Rings: The Return of the King,” which held 206. With those odds, it’s fair to see why most pundits consider it a frontrunner. A potential upset, however, could come from this year’s surprise blockbuster “Gravity,” which cleaned house at the Golden Globes. The rest of the list includes up-and-comers such as “Dallas Buyer’s Club,” “Her,” and “Philomena,” as well as obligatory work from Oscar legends such as Alexander Payne (“Nebraska”) Martin Scorcese (“The Wolf of Wall Street”), and David O. Russel (“American Hustle”). The list of Actresses is mainly a group of Oscar legends, including Adams, Blanchett, Dench, and, of course, Streep, who is currently on her 18th nomination. However, the focus, as usual, is on internet darling Jennifer Lawrence, who may be the youngest actress to win two oscars, and the first since Katharine Hepburn to win two back-to-back. This is assuming, however, that the race for “Supporting Actress” is not upset by a surprising turn from “Slave’s” Lupita Nyong’O. The list for Actors is equally interesting. With a nomination for his performance as an AIDS-afflicted bullrider in “Dallas Buyer’s Club,” Matthew McConaughey has cemented his rise from rom-com king to one of Hollywood’s most preeminent actors. Alongside him, with a nomination for his supporting role as a transsexual in the same movie, is a surprising turn from “30 Seconds to Mars” frontman Jared Leto. Another hopeful is DiCaprio, who seems to be attempting to reclaim the honor famously denied to him last year (not to mention countless ceremonies before) for his performance in “Wolf of Wall Street”. Hanks isn’t the only one missing in action. Robert Redford is a notable no-show, even for his mostly solo performance in “All is Lost.” If that isn’t enough, two Lee Daniel’s “The Butler” and Disney’s “Saving Mr. Banks”, both considered frontrunners early in the year, are conspicuously absent from most of the nominations. As always, whether the Academy will stick with long-held tradition, or offer attention to newer faces remains to be seen. 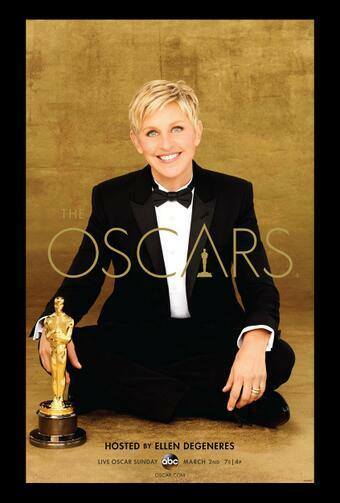 The awards will be broadcast Sunday, March 2nd, and hosted by Ellen Degeneres.